The resurgence of a tsetse population of Glossina palpalis gambiensis in the Niayes area of Senegal after a “tsetse silence” of about 15 years following the eradication campaigns in the 1970-1980’s, has sparked the establishment of a new project aiming at eradicating the flies in the target area. The presence of the tsetse fly and the disease trypanosomosis they transmit is one of the main constraints to the development of intensive dairy production in the peri-urban area of Dakar. 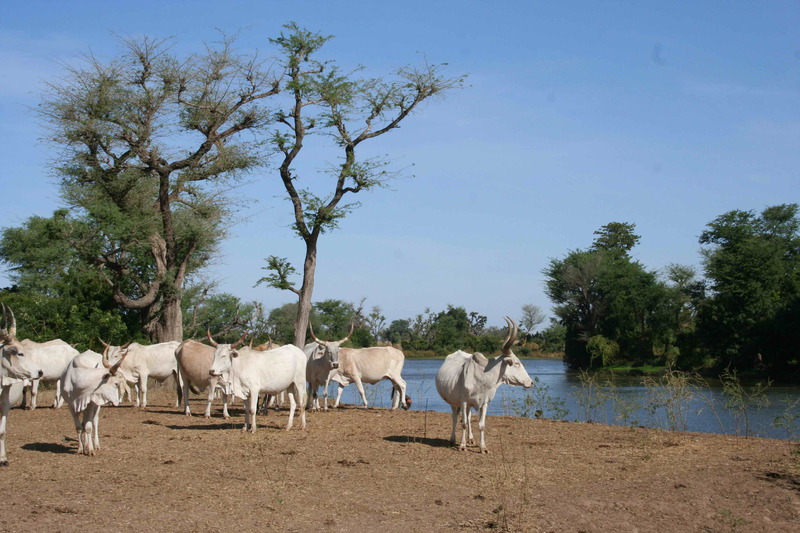 The Division of Veterinary Services (DSV) of the Ministry of Livestock, Senegal is implementing and coordinating this project (Projet de lutte contre la mouche tsé-tsé dans les Niayes). The Senegalese Institute for Agricultural Research (ISRA) and the CSE are the technical partners of the DSV. The Centre de Coopération Internationale en Recherche Agronomique pour le Développement (CIRAD) provides scientific support to the implementation of the project. International organisations such as the Food and Agriculture Organisation of the United Nations (FAO) and the International Atomic Energy Agency (IAEA) also provide scientific, technical and financial support. Since 2010, the IAEA is receiving financial support from the US State Department to support the control of tsetse flies in West Africa. Since 2008, a feasibility study including the collection of entomological, parasitological, genetic, environmental and socio-economical base line data has been implemented to better characterize and understand the fly population and the target area. As part of this preparatory phase (2009-2010), implemented before the start of the control campaign, entomological and parasitological monitoring provided insight and better understanding of the spatio-temporal dynamics of the epidemiological system. Moreover, a socio-economic study is currently underway to determine the benefit-cost ratio of the project. 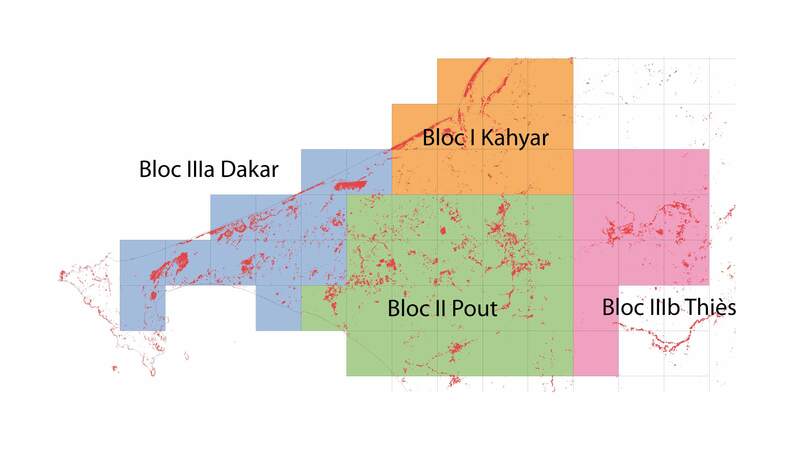 The Centre of Ecological Monitoring (CSE) in Dakar has initiated an environmental impact study and has already developed an Environmental Evaluation Strategy (EES). A first collection of selected fruit-feeding insects was also carried out and these will be used as ecological indicators. This feasibility study will be followed by a suppression and then an eradication phase. The intervention strategy includes a suppression phase using deltamethrin-impregnated Vavoua traps, insecticide treatment of cattle with residual insecticides and Ultra Light Volume ground spraying targeted at dense forest thickets. For this purpose, the suppression approach has been tested successfully in Kahyar at a small scale. The eradication phase is based on the sterile insect technique (SIT), using aerial releases of sterile males. To prepare this phase, experimental releases of sterile male flies are currently carried out to assess their survival and competitiveness in the field. 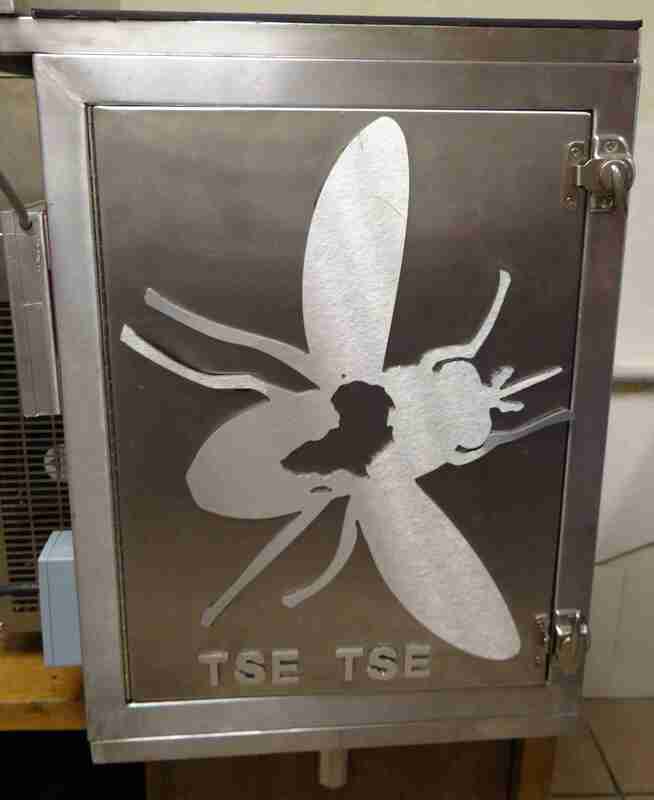 A system has been tested to transport the sterile male pupae, produced at the Centre International de Recherche-Developpement Sur l'Elevage en Zone Subhumide (CIRDES), Burkina Faso, to Dakar. A cattle herd next to a water point in the control area. First use of the chilled adult aerial release technique with tsetse in Senegal on 28 Feb. 2014, with the help of the Mubarqui team! 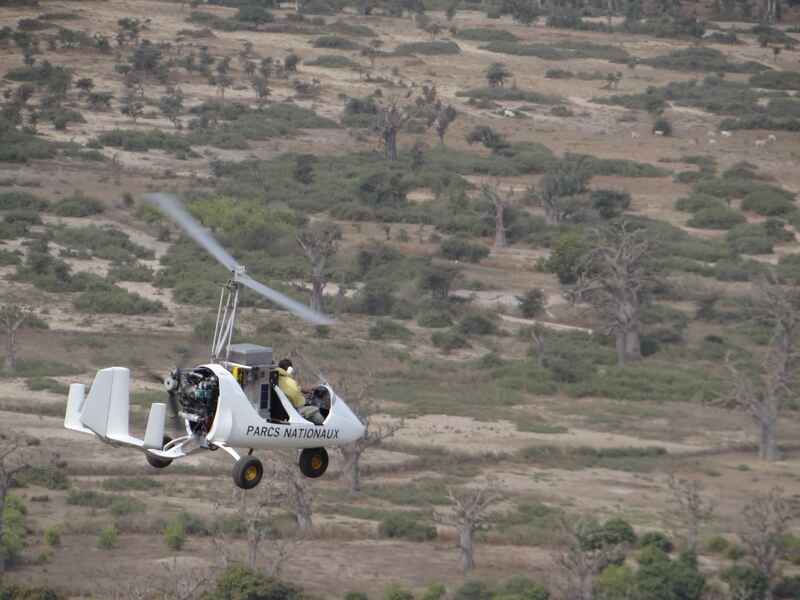 The release machine is on board a gyrocopter of the Kalahari aerodrom. 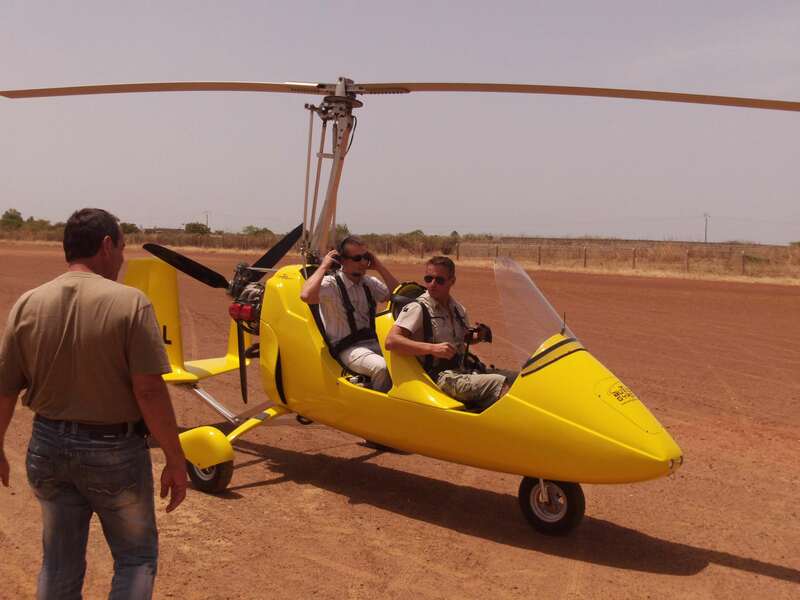 A visit to Mubarqui team (Ciudad Victoria) allowed to finalize the last validations of the automatic aerial release machine, that will be embarked on board the gyrocopter (see video). Since April 2011, no tsetse has been captured in block 1 (Kahyar): the eradication process using releases of steriles males has started while the suppression will be extended to block 2, and then to block3 in 2013.